Vision is more than just sight. 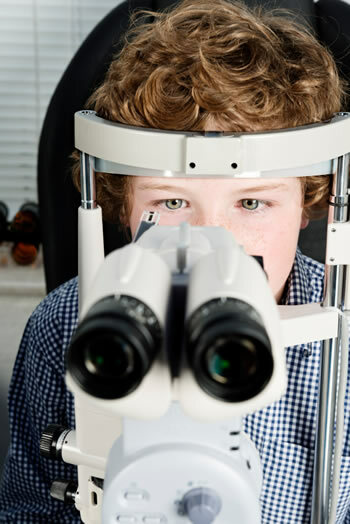 Ensuring your child’s vision is accurate will play a large part in their growth and development. Undetected sight problems can cause difficulties in their ability to learn and socialise with peers. Often it is not until children begin to read that we first notice they have a visual problem. Vision can affect learning in many ways. Approximately 80% of learning information is presented visually. A problem with a child's vision can seriously reduce their ability to achieve to his or her potential. A comprehensive examination of the health of the internal and external parts of the eye. This is a test to see how sharp your child's vision is at near and in the distance. It also involves measuring the power of the eye and measures the degree of long sightedness, short sightedness (myopia) or astigmatism which may be present. This incorporates testing how well the eyes move together in such tasks such as reading. This tests how well the eyes focus together when working between different distances eg when copying from the board in the classroom. Problems in focussing are very common. Effective eye focussing skills are essential for attention and concentration during reading as well as in the speed and accuracy when copying from the board. After the comprehensive eye assessment is completed your child may/may not be recommended for spectacles. Examination findings may/may not indicate recommendation for vision therapy.